Nina Qureshi, Esq. also provides competent and efficient legal assistance to those who fear persecution in their home country. If you believe that you would be in danger upon your return to your home country, you may be eligible to apply for asylum in the United States. A grant of asylum permits the asylee to remain in the United States in valid status with employment authorization incident to status. 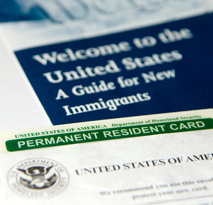 The asylee may apply for adjustment of status to become a permanent resident after living in the United States for one year as an asylee. An individual is eligible for a discretionary grant of asylum if they meet the definition of a "refugee" in the Immigration and Nationality Act, is eligible for a favorable exercise of discretion, and is not barred for other reasons from obtaining asylum. Whether you are seeking asylum based on political, religious, racial, or social persecution, we will strive to obtain the evidence to prove that your particular circumstances would pose an unsafe situation if you were to return to your home country. It is important to speak to someone with experience prior to applying for asylum.